LAST CHANCE TO PRINT OUT, SIGN & RETURN FORMS TO REJOIN AS A DEMONSTRATOR FOR ONLY $35!!! 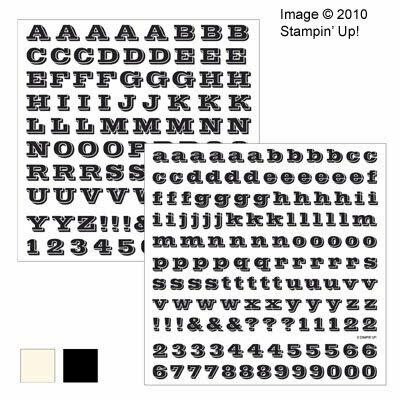 YOU'LL NEED TO DROP YOUR FORMS IN EXPRESS MAIL TODAY OR TOMORROW (depending on your mail service) TO OVERNIGHT THEM FOR DELIVERY TO STAMPIN' UP! BY JULY 31ST. 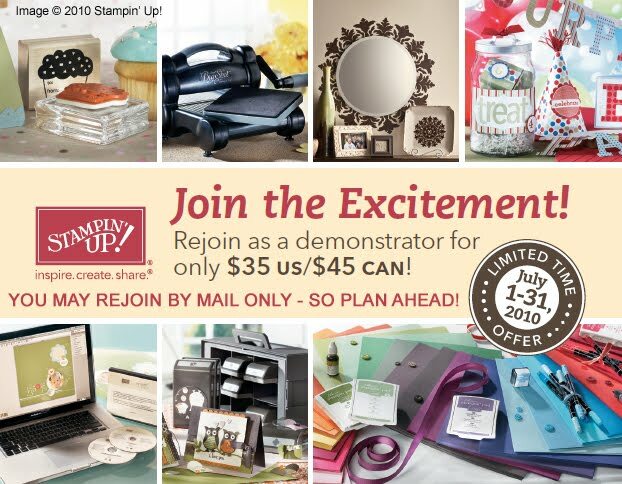 If you have EVER been a Stampin' Up! Demonstrator at any time in the past, you can REJOIN STAMPIN' UP! for just $35 during the month of July!!! How's that for some fireworks!?! This offer is not available online, you will need to print out the forms below, fill them out, and sign and return them to the address indicated on the forms. 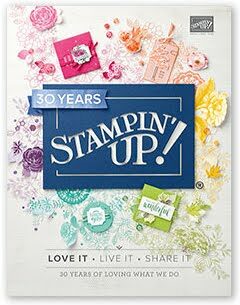 They must be received by Stampin' Up! no later than 5pm on July 31st. Please be sure to completely fill out and sign ALL THREE forms, and make at least one copy to keep, before mailing. FINE PRINT: The $35 Rejoin offer is available to any former demonstrator who was dropped as part of the quarterly process, but if you resigned your demonstratorship, you must have resigned on or before March 31, 2010 in order to qualify for this offer. If you dropped or resigned less than 6 months from the time you rejoin, you will be assigned the same upline you previously had, unless that upline has dropped or resigned. Disclaimer: I am not affiliated with T-Mobile or Google or Android or any of the brands associated with T-Mobile usage or Android phones that may be mentioned in this rant, nor was I paid by anyone to write this article. This is totally my own personal musings and opinion. I know this is not stamping related, but it's really bothering me, and I consider my readers my friends so I'm going to digress for a moment...or few. Anywho, the other day, my sweetie comes home and tells me all about his co-worker's awesome Android phone and all its nifty apps. I look up what my carrier, T-Mobile, has to offer in Android phones, and I research reviews on the web as to which Android phone is best. Long story short, the consensus seems to be that the Google Phone (Nexus One) is the best option offered with T-Mobile service...and lucky me, as a T-Mobile customer I might qualify for an upgrade to get the phone at $179 with a 2-yr contract extension. I try to order the phone from Google, with the T-Mobile service, at the upgrade price of $179. Google claims I don't qualify. Hm. That doesn't sound right, T-Mobile never told me I couldn't upgrade--in fact, I knew the smartphone day would come and I asked about upgrading to a smartphone when I previously extended my contract and they said I could do that anytime I wanted. If I don't qualify for the upgrade, I have no choice but to buy the phone from Google at the full price of $529. No, thanks, I don't want a smartphone that bad. So, I go into my local T-Mobile store and it is explained to me that my last 2-yr extension for the current phone I have, which just plain doesn't function on the web (I tried free web service for a month, it's useless on this phone) is not up until February of 2011 and I am not allowed to do any more contract extensions until that is over. They can't even give me an upgrade on any of the phones in their store--which I don't want, anyway. I want the Nexus One. T-Mobile, are you serious that you can't just add two years onto the date of the end of that contract term?? I'm not the greatest at math, but even I can add two to eleven without a calculator. Have we ever not paid our bill? Absolutely not, not in like over 10 years of being a T-Mobile customer, even when we weren't on any contract at all. So what's the problem here? Here's some more easy math I can do...a data plan at $30 per month, times the 7 months I have left on my current contract = $210 T-Mobile will NOT get for a data plan while I'm stuck with my current phone. Then, $30 per month for another 24 months, for each month of the two-year extension of my contract, with the smartphone that requires the data plan = $720. Again, I can do this math, that's $930 more dollars T-Mobile is contracted to get between now and February 2013 if they let me upgrade to the Google Nexus One. That doesn't even count any of the $179 cost of the phone, because I'm not sure if T-Mobile gets any of that or not. Google, pay attention here--if T-Mobile is unwilling to upgrade its customers to your Nexus One phone, then it costs $529 for the consumer. Statistically, I have to believe that more T-Mobile customers will buy the Nexus One as an upgrade than at the full price, and most like me, who cannot get it at the upgrade price, will just not buy it at all. Let's say Google sells 10 Nexus One phones at the upgrade price for every one sold (if that) at the non-qualifying rate of $529 each. For simplicity's sake, I'm going to assume your phone cost as at least half of the qualifying $179 price, or you'd never sell let it go for $179...so that's an assumed approximate profit of $90 per phone. Selling 10 at the $179 price is approximately $900 profit, and one at the $529 price is $439 profit. Without a calculator, I can see Google would make less than half the profit selling one full price Nexus One phone than 10 "T-Mobile qualifying" price Nexus One phones. I'm just a consumer, doing simple math, but it seems to me that a HUGE conglomerate like Google should be able to persuade even T-Mobile into letting its clients upgrade, so that Google can make more sales. After all, T-Mobile is the one set to make (in my case) almost $1000 off the deal once it's completed. Something is wrong with the picture of me as a consumer trying to contract to give more of my money every month to a cell phone company, and the cell phone company refusing to take it. Google can claim it's a T-Mobile issue, and T-Mobile can claim it's a Google issue (because we all know that's what they'll do), but the bottom line is that I am not getting what I want as a customer from either of you, and neither one of you is getting my money for a smartphone or data plan...probably not even when my current contract is up, just on principle alone. As per usual, I made a card as I was heading out the door yesterday to a cookout. I had it planned in my head, but I procrastinated the execution, so I didn't have time to get this posted yesterday. I hope you enjoy it, even though it is a little belated! One of the reasons I wanted to post this card is because I rarely add "bling" or "sparklies" to my cards...and this card is the motherlode! Now, the rhinestones I used were leftover from an egg decorating kit Stampin' Up! carried this past spring. 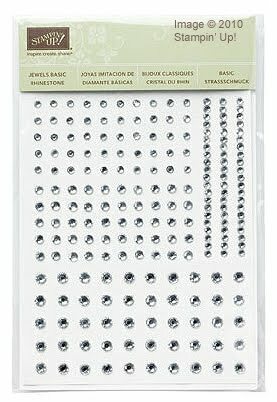 However, you can enjoy these same rhinestones in the new catalog, in the Basic Jewels - Rhinestones package, featured below. You'll get 150 small, self-adhesive rhinestones per package, 50 each in three sizes: 3mm, 4mm and 5mm. You will also enjoy three 2-5/8" strips of connected jewels, which are great for borders. 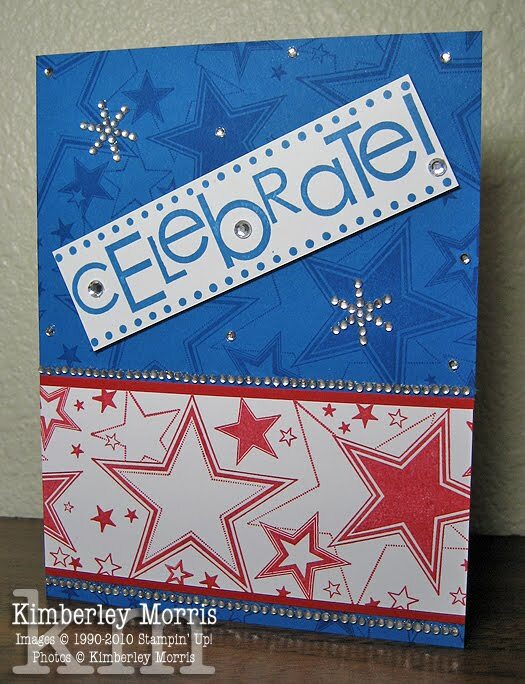 Stampin' Supplies for Card: Real Red card stock & ink pad, Whisper White card stock, Pacific Point card stock & ink pad, Celebration wheel, Classic Stars Jumbo wheel, Standard wheel handle, Basic Jewels Rhinestones, SNAIL, Stampin' Dimensionals. You will receive four 6"x6" sheets of Rub-Ons, two sheets of each design shown above. One of each of the two sheets comes in Basic Black, the other two sheets of each design come in Very Vanilla. 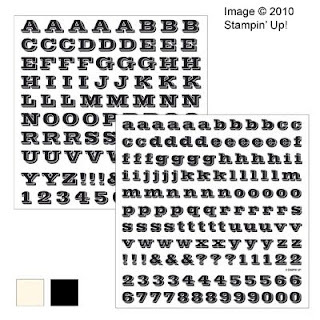 Rub-Ons are great for surfaces that may be difficult to stamp on, like textured surfaces, plastic, tin, or glass, and especially 3-D items that may be rounded like a jar or pail. Your package of Rub-Ons will also include a wooden applicator. *The other three packages of Rub-Ons, and the remainder on the unavailable list are still remain unavailable for order, I'll keep you updated! 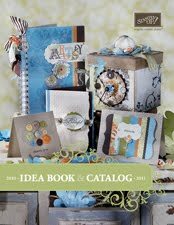 NEW 2010-2011 Idea Book & Catalog! All Images © 2010 Stampin' Up! I have been anxiously awaiting today--the new 2010-2011 Idea Book & Catalog, Celebrando Creatividad catalog and Definitely Decorative catalog debut at NOON Mountain Time today, July 1, 2010. Go ahead and view or download them from their respective links below, and start making your Wish List. 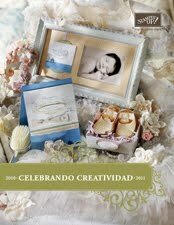 The 2010 Summer Mini Catalog is still active, so I'll go ahead and give you that link here, too! Aside from the awesome new stamp sets, there are SOOOO many other fun things to point out, like the new color collections, the new In Colors, new accessories, and even new storage solutions! Everything is just incredible, and I want it ALL!!! I'll be going over some of the new products individually in the coming weeks, but for now I'll let you get a look at everything for yourself, and you can leave me comments about what YOU love. Please email me if you have any questions, or if you'd like to book a workshop to earn some of this great new stuff for FREE! NOTE: Due to some vendor issues, some products will not be available for order just yet, including, Watercolor Wonder Crayons, Punch Caddies, Stampin' Pastels, and new Rub-Ons. I'll keep you updated on the ordering status of those items. Also, some products may quickly go into backorder status, such as select 1/8" tafetta ribbons, and select DSP Patterns Stacks, so place your order from the new catalogs as soon as you can after ordering goes live at NOON Mountain Time TODAY if you don't want to risk waiting! SITE MAINTENANCE: In preparation for new catalog ordering, my business web site (http://kimberley.stampinup.net) will be undergoing maintenance and will not be ready for online ordering until at least NOON Mountain Time today, so if it is not up and ready for your order, please try back again after maintenance is over. Click the SHOP NOW link to place your order when my site is ready.